The awesome ‘live window display’ from Exclusive Roots, Oxford’s Fair Trade accessories and gifts shop. 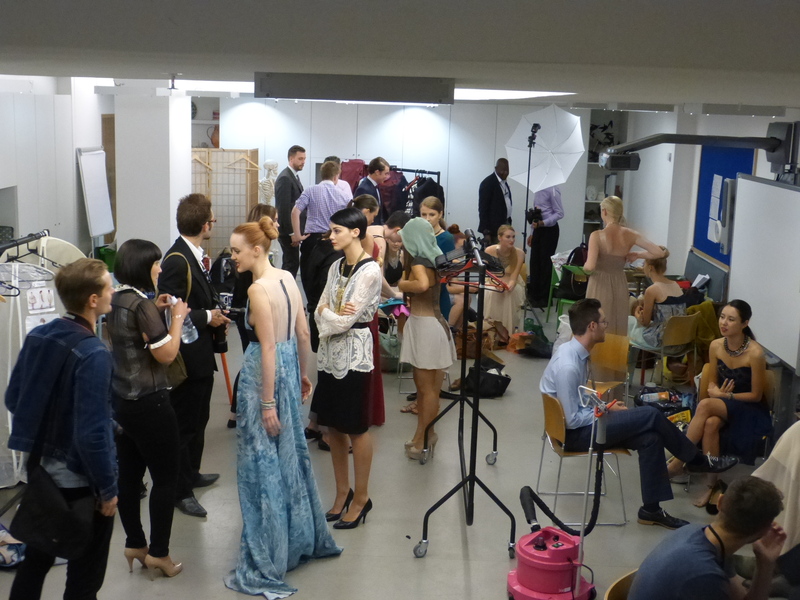 One of the segments of the Style Bloggers Showcase, featuring Lexie of Lexie’s Floordrobe (right) and her models. 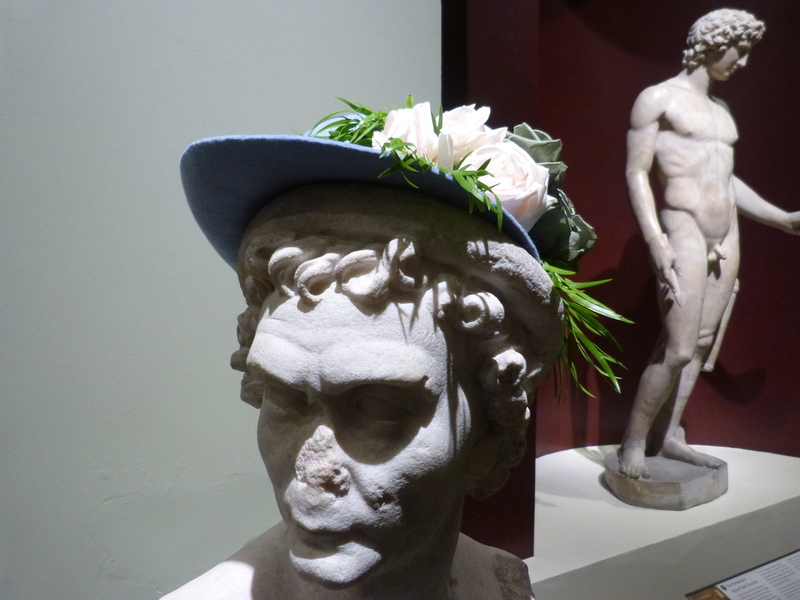 Looking stylish in a hat from Louise Pocock! 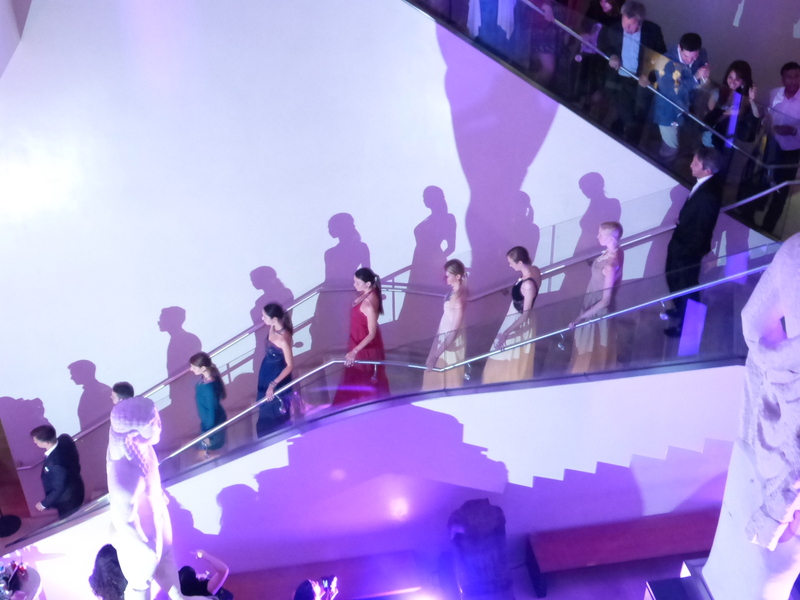 The catwalk models descending the main staircase. 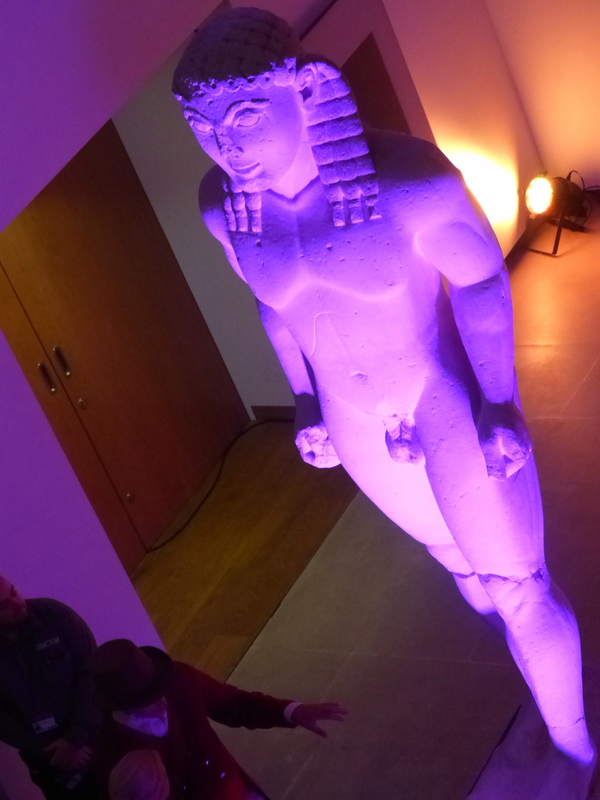 A beautifully lit statue in the main atrium. These two ladies had the most fascinating stories to tell about their outfits and lives. 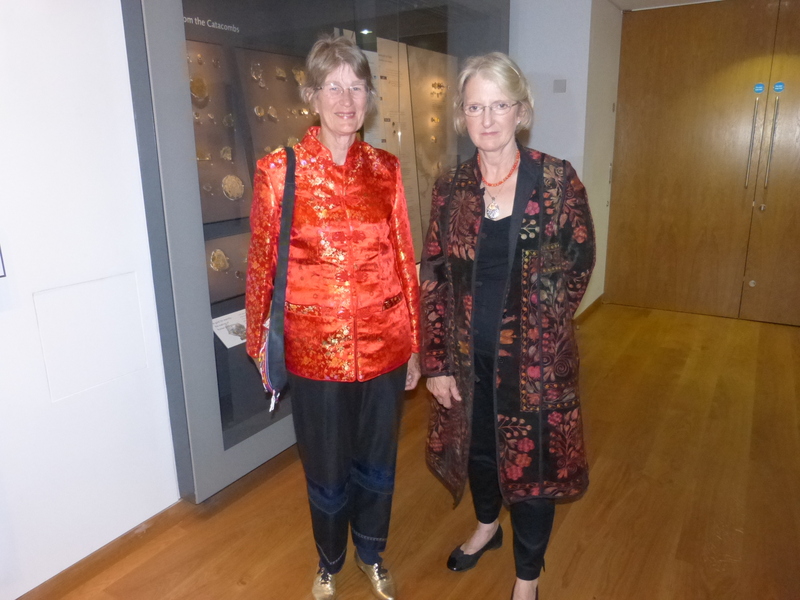 Jane Mollison, on the left, entertained me for ages with stories of her travels in China as a VSO – her beautiful jacket was tailor-made for her by an old-fashioned tailor in southwest China, her bag is a traditional pattern from the Aka tribe, and her trousers are made by the Hani people. 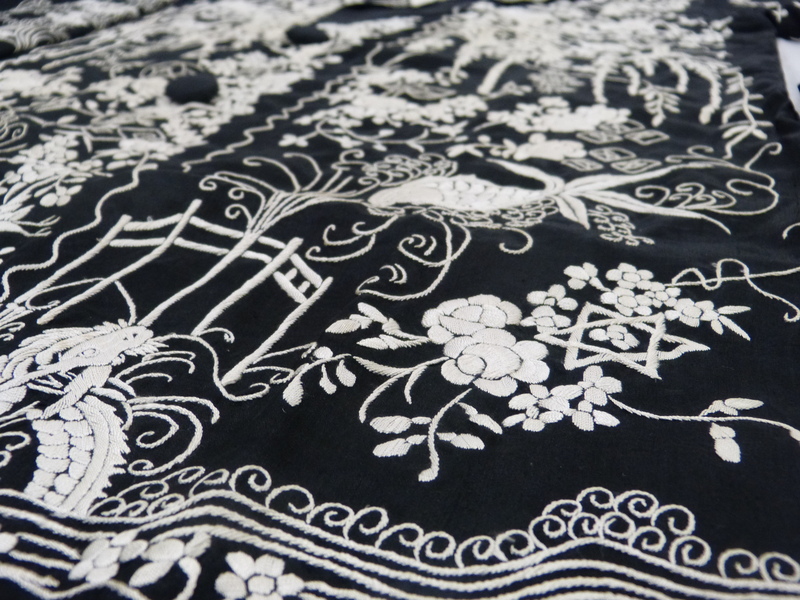 Dinah Adams’ gorgeous long coat is from Uzbekistan – just look at that embroidery! I could have talked to these ladies for hours and hours, so I’m sad I only got a few minutes with them. All in all, then, a hectic but very enjoyable night – but for me the best part wasn’t even any of the great activities or shows laid on by OFW, but the chance to meet people immersing themselves in their own fashion and style, and to really get to talk to people about their passions and mine. 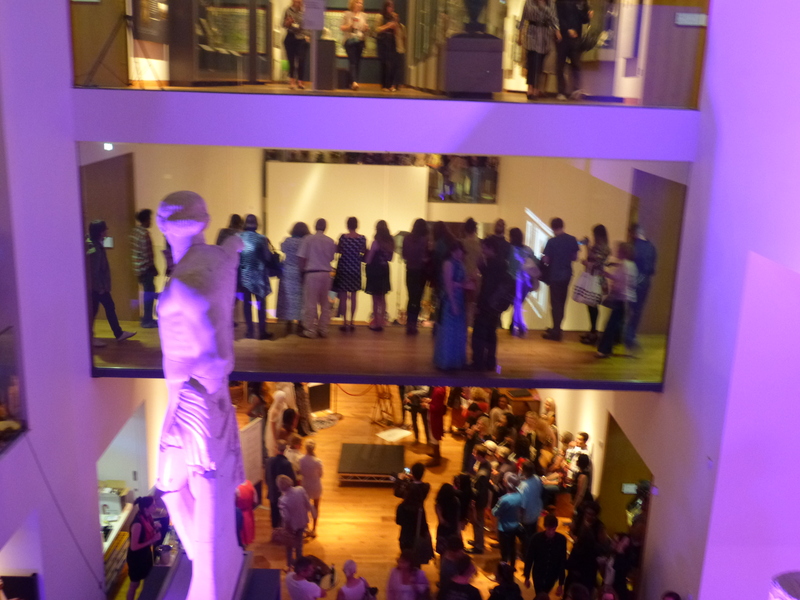 A fantastic night – keep an eye out for the official galleries and wrap-ups over at the OFW Facebook page. 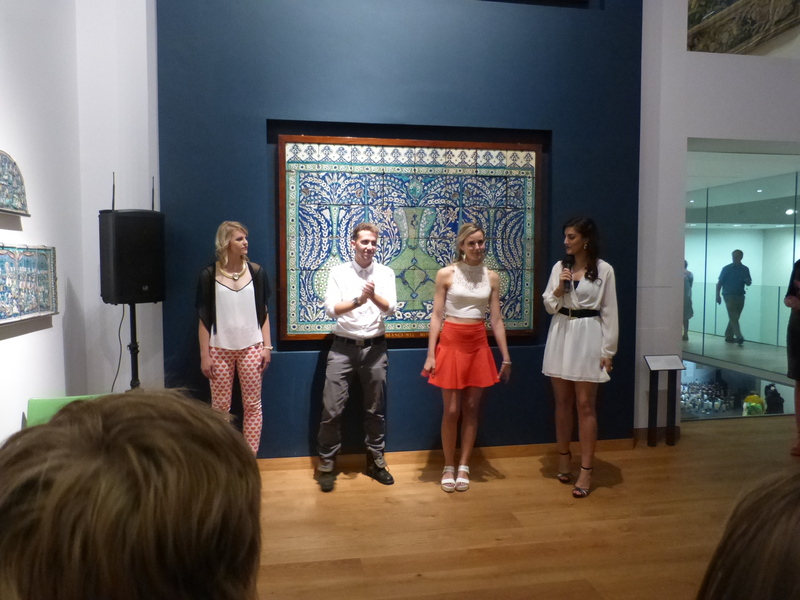 This entry was posted in Life and tagged ashmolean, ashmolean livefriday, beautiful ladies, catwalk, clothes, dress up live friday, livefriday, oxford, oxford fashion week, runway, style. Bookmark the permalink. Looks like you had an amazing time at OFW! I really need to see if my city does anything like this! I hope there is, it was a really interesting night!